It’s hard to believe that Bike EXIF is less than three years old. It was a much simpler endeavor in the early days, just one image for each bike. But readers wanted more, so now we have several images for each post, and longer articles. I thought I’d go back and dig out some of the hidden gems from the beginning: ten bikes that hit the spot for our first readers. It’s a retrospective, flawed and patchy in places, but with a flavor of things to come. Like a compilation CD of your favorite band’s early years. 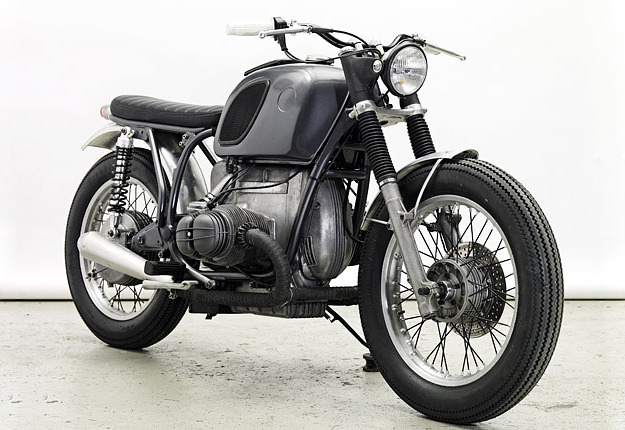 The BMW R7 (above) was the motorcycle that put Bike EXIF on the radar, and it still gets a steady stream of hits. 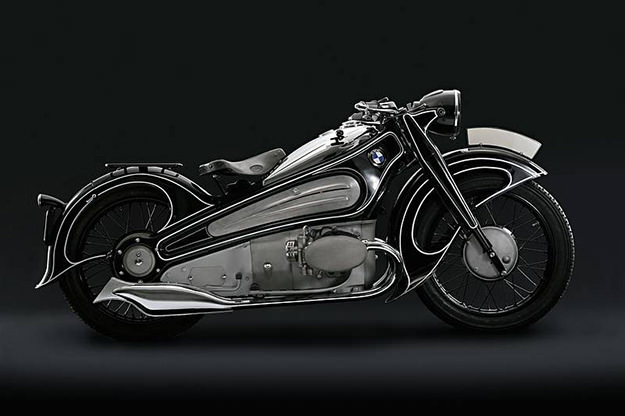 Unlike most bikes that are 70 years old, this one could almost be a contemporary concept. Any custom builders out there care to replicate this machine with modern components? Another BMW, and also significant—but in a very different way. 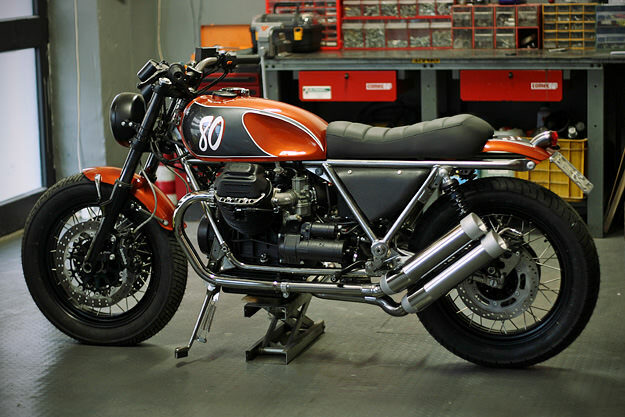 This R80 is one of the Wrenchmonkees’ first bikes, and the one that made us take notice of the Copenhagen boys. 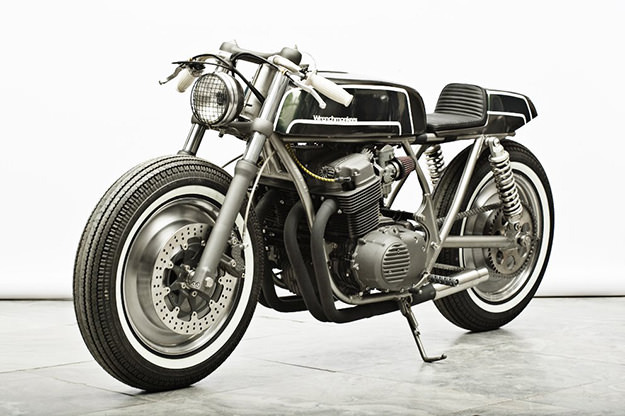 A few weeks later, the Wrenchmonkees delivered the most iconic Honda CB750 cafe racer of all time. Right now, our post on Gorilla Punch has just 58 Facebook ‘likes’. (That’s how small our audience was back in February 2009.) If released today, this bike would probably garner a thousand likes within a week—as the Black Falcon did earlier this year. 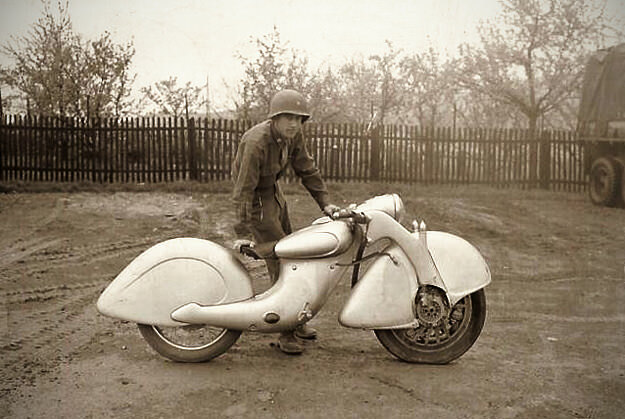 This is the Killinger und Freund, an oddball German machine. The engine is concealed inside the front fender, and sends drive to the front wheel. No-one seems to know the story behind the image, although it was probably taken at the end of WWII. 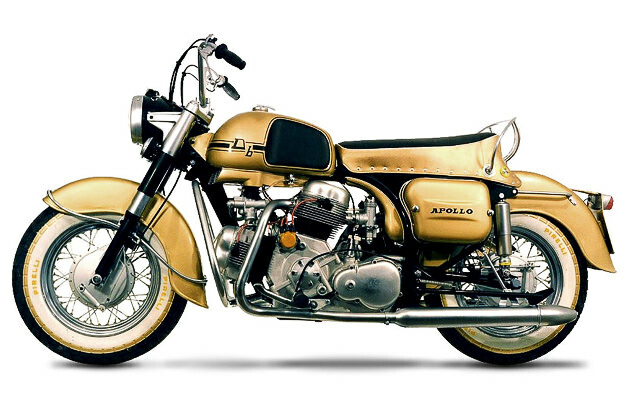 There’s a whole genre of custom motorcycles called ‘naked Gold Wings’. Until I saw this Danish bobber, I thought that Honda’s legendary tourer was impossible to customize. One of the first trackers we featured, at the point when the tracker scene seemed to be exploding in popularity. 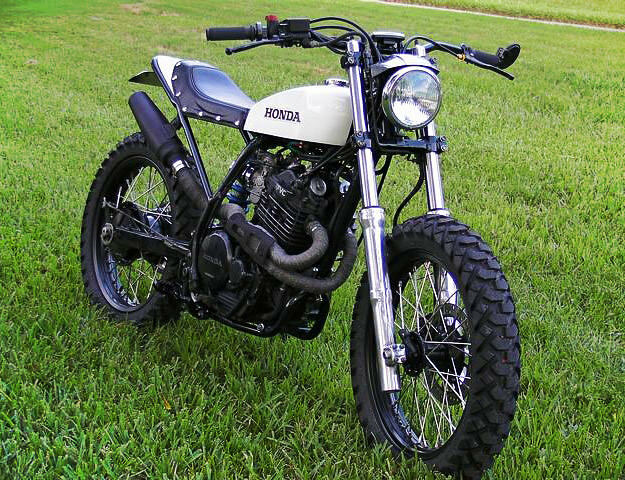 This one is based on the Honda XL600 thumper, a hefty machine originally at home in desert rallies. 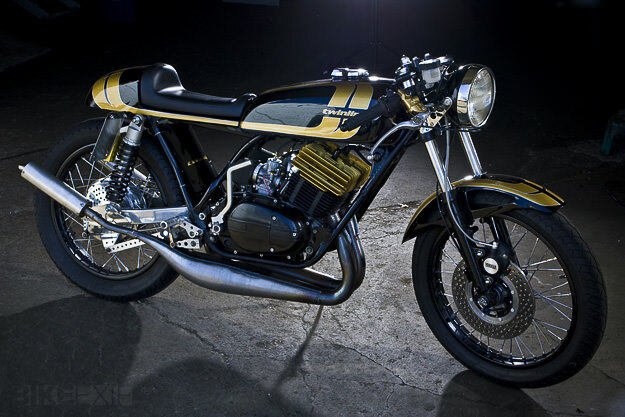 Seattle-based Twinline Motorcycles scored a huge hit with Project Goldhead, a beautifully customized Yamaha RD350. It’s light, tastefully updated and ferociously fast. Paul d’Orléans spotted this Majestic motorcycle in Bavaria. 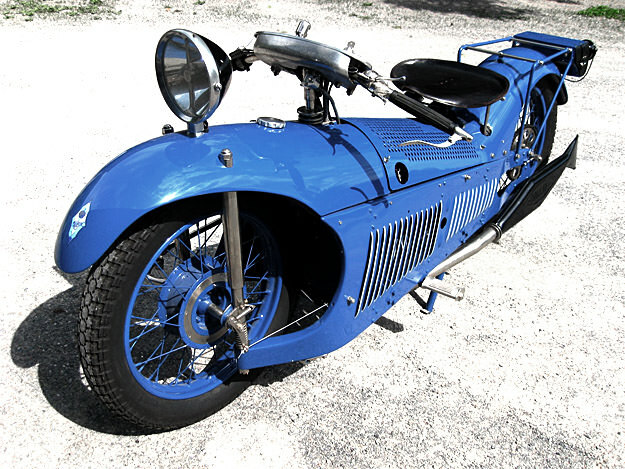 With hub-centered steering and sliding pillar suspension, this 1929 beauty has mechanicals as radical as its looks. Ducati’s ill-fated Harley-Davidson rival was too powerful for its own good. In 1964, no tires could handle 100 hp in a machine of this weight, so the Apollo never made it beyond prototype stage. Anything that Filippo Barbacane of Officine Rossopuro (formerly Firestarter Garage) builds is pretty much guaranteed a space on Bike EXIF. 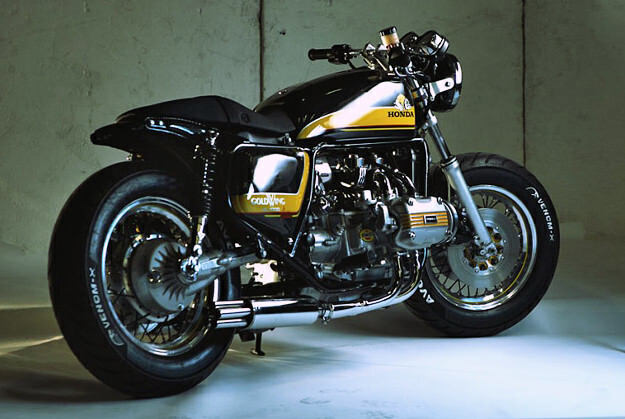 This is Ottanta, a Moto Guzzi 1000 SP cafe racer, and one of my all-time favorite motorcycles.